Leading Manufacturer of servo plc liquid filling machine, semi automatic powder filling machine, fully automatic tube filling sealing machine, semi automatic liquid filling machine, semi automatic twin heads liquid filling machine and automatic powder filling machine from Ahmedabad. Numatic cylinder for diving nozzles. 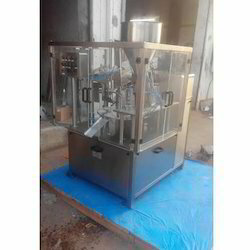 Our Semi Automatic Powder Filling Machine has been specifically designed to provide hassle free functioning for dry powder and external dry syrup filling. It is visually compelling and functionally superior in nature. Our machine is simple & easy to operate or handle & occupies minimal space. 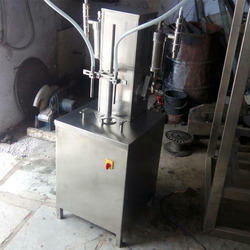 This machine is renowned to provide optimum production with minimum weight variation. 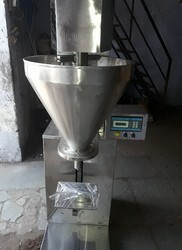 We offer Fully Automatic Tube Filling Sealing Machine to our clients. 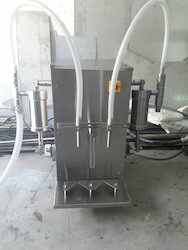 Semi Automatic Liquid Filling Machine offered finds extensive use in the pharmaceutical industry sector and provides the automatic solution for high-precision vials filling. Further, the available advanced PLC program control, as well as intelligent electronic control technology, also assure of reliable working performance delivered by the system. 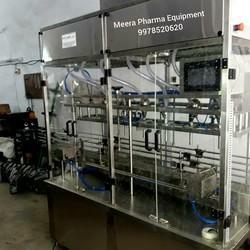 We combine utmost quality with leading mechanism to design Semi Automatic Table Top Liquid Filling Machine The technical specifications and competitive pricing make this machine the best choice for the pharmaceutical industry. The brilliantly engineered six heads provide faster and efficient capping functionality.